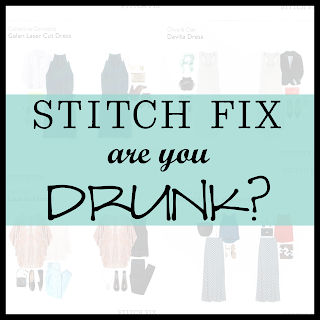 A Wide Line: Stitch Fix, Are You Drunk? Stitch Fix, Are You Drunk? I love it when that little square Stitch Fix box arrives on my porch. I just received my third shipment, and it’s already become a bit of an addiction. So far, I’ve kept two of the five items in each fix. I like how they send me items I would never have picked out for myself, yet are perfect when I try them on. 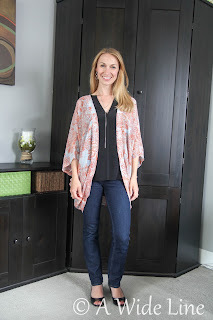 Like in my first fix, I received this sheer little kimono. I wouldn’t have given this a second glance if I had seen it on a hanger in a store. But I tried it on with the suggested outfits on the card, and I LOVE it. It was perfect for our quick, kid-free get-away to Vegas over Memorial Day weekend. I just received my third fix on Saturday, which contained this blue and white dress. I wrinkled my nose at it in the picture, but when I tried it on? Loved it! It’s a bit more low-cut than I usually go, but Hubs loved it (obviously) and it fit perfectly. Plus, the waist is a little above the natural waistline, which is no simple feat for my short stature. If an outfit can make me feel taller, I’m sold! Then there was a great pair of jeans. I definitely did not need another pair of jeans, but they fit so well I just had to keep them. They are now my go-to fave for casual days. But then sometimes they send me items that I think are really cute, but oh-so-not worth the price. 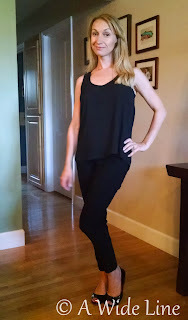 For example, I got this cute black top in my last fix. I liked it a lot, but it was $58.00. It didn’t seem to be that high quality, and I’m sure I can find something very similar at H&M for much cheaper. 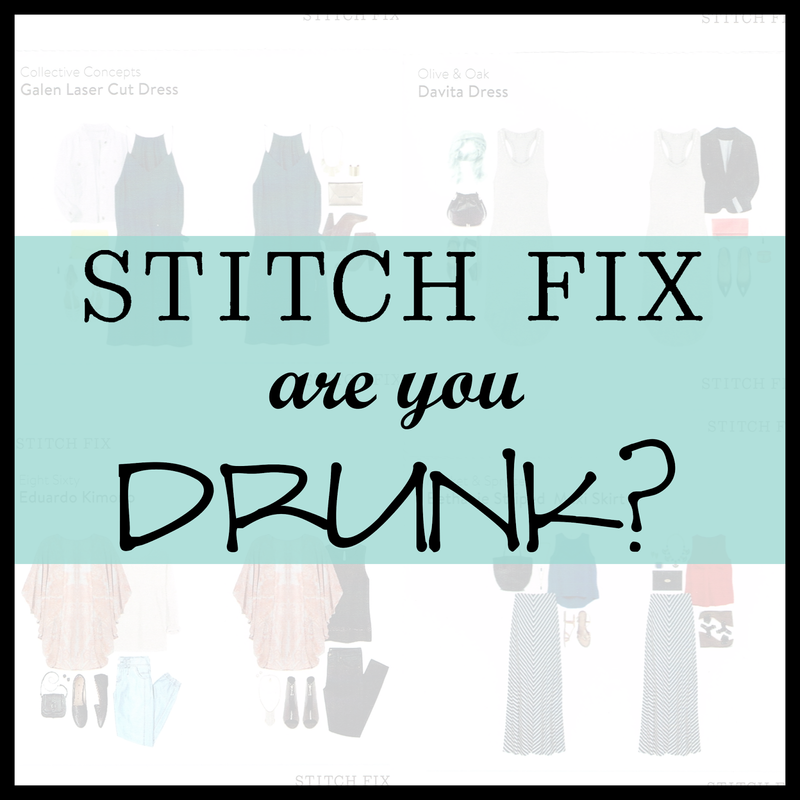 And then… sometimes… Stitch Fix is just drunk. They sent me a maxi skirt in my last fix. A MAXI SKIRT! 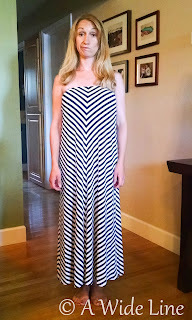 As much as I love the maxi look, it just does not work on my five-feet-one-inch body. (Can I just tell you how ecstatic I am that cuffed jeans are back in style?) 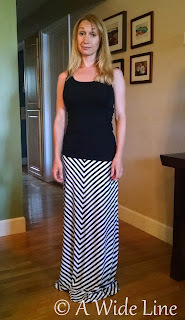 Here’s what the maxi skirt looked like on me. Yeah. You could probably make a second maxi skirt with all that fabric pooling on the floor. 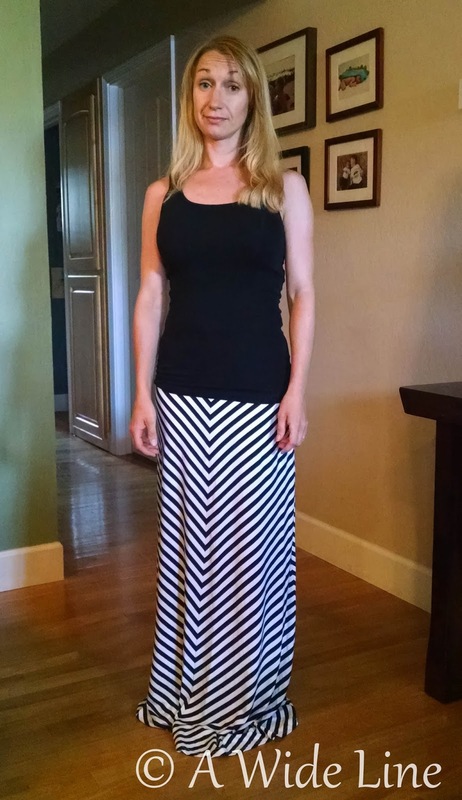 A friend of mine, and fellow shorty, said she wears maxi skirts like a dress. So I tried that, too. And… nope! It looked like a mu-mu. Totally shapeless. I tried belting it at the waist, but the dress bunched up around belt and looked like the fabric was pleated. Ew. Ummmm…. Stitch Fix, are you drunk? I have to admit - I did love the skirt. The fabric was positively luxurious. I wish I was taller just so I could wear it. 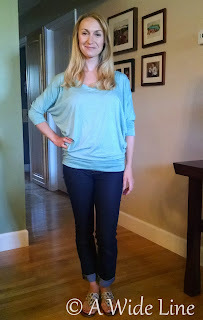 My stylist completely redeemed herself with this Dolman sleeve top. I usually drown in these types of shirts with their obnoxious “bat wing” sleeves, but this one is adorable. It’s not too billowy, and the color is gorgeous. Stitch Fix is not a perfect science, but it’s pretty amazing. Even with the maxi skirt fail, I’m already jonesin’ for my next fix. Occasionally, I will post about my Stitch Fix experience here on the blog. Feel free to tell me about your fixes in the comments! 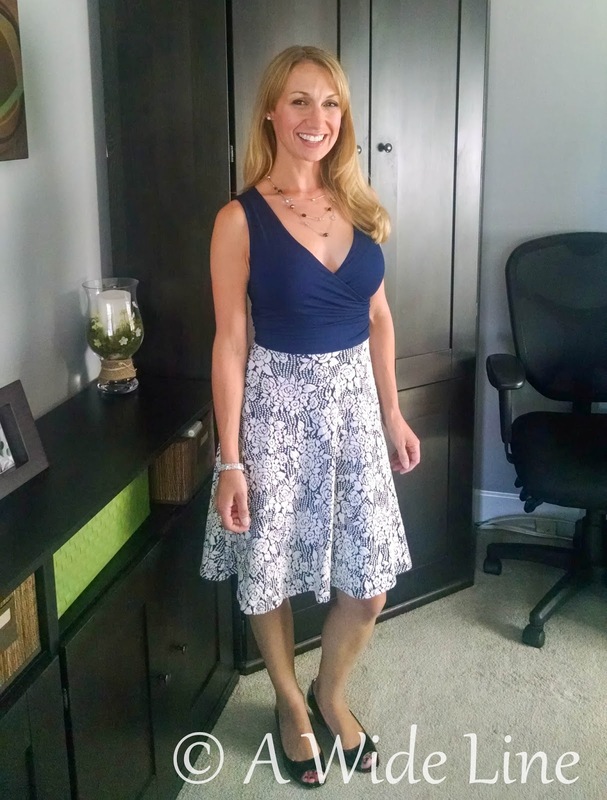 If you want to give Stitch Fix a try, here’s my referral link. I will get a $25 credit toward my new addiction when your first fix is shipped. And then you get a referral link of your own to share! This post is not sponsored by Stitch Fix. I’m just a happy customer who has no time to shop for herself because malls + toddlers = spending too much time in the play area and not enough time in the fitting room. Yeah, they can be such. I can't believe they sent you such a skirt. It's really LARGE! 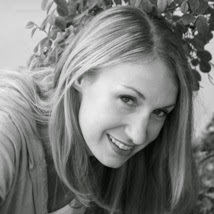 Gosh, I remember when I ordered something not looking at it, it was http://writers-house.com/ service for my daughter. She had to write an application letter, so I had to.. Anyway, I prefer to look at things and try them at first. It's always safer.